Some great tips and strategies to keep your hair silky smooth and strong during the cold winter months. 1. Protect your hair from harsh winter elements by keeping it covered! Wear a hat, beanie, or silky scarf. Or you can try a new up-do hairstyle that will not only protect your hair, but freshen up your look. 2. Dry hair is fragile. Try to deep condition at least once a week or use a nourishing hair oil treatment. (Tip: Rub Coconut oil into ends of hair at night and rinse out in the morning). 3. Wash your hair as little as possible. It is recommended to wash 2-3 times a week to prevent hair from drying out. When buying shampoo, make sure to purchase a product specifically for moisturizing. 4. Get regular trims (every 6-8 weeks) to reduce split ends. 5. Use a humidifier. Air in homes and apartments becomes very dry and a humidifier will help lock in that much needed moisture. Also helpful for your skin! 6. Use your heated appliances as little as possible. Try to go natural or wear hair up or covered. 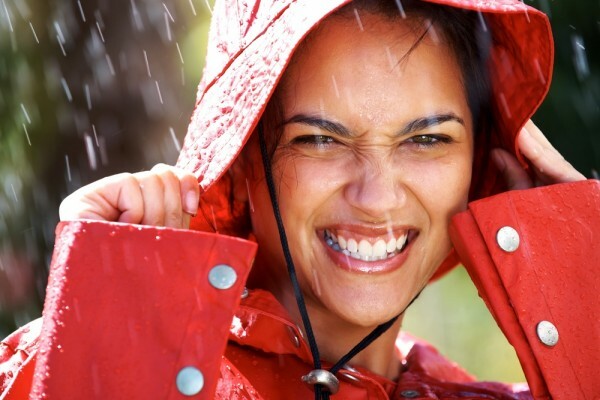 The rain/wind will ruin your straightened hair or fresh curls, anyway! 7. Avoid using chemicals, especially in the winter. If you must dye your hair, try more natural products. Use a no peroxide or a low-peroxide color or try henna hair dyes. Touch up with ROOTSTIX to avoid frequent salon visits! 8. Avoid over-brushing. Use a wide-toothed comb to help prevent hair breakage. 9. Avoid hot water! Shower with lukewarm water for 10 minutes or less. Rinse with cold water when done for a smooth and shiny glow all day. 10. Eat foods high in Vitamin C. Add some dark leafy greens to your daily diet and remember to drink plenty of water throughout the day.